Cooked molasses tubs offer a competitive way to supplement cattle, but to truly maximize their cost effectiveness it is important to properly manage the tub consumption. Paying attention to the number of cattle you are feeding per tub is key. The directions are there for a reason! If the tub is designed for 20 head then there should never be less than 20 to avoid over consumption. If you do happen to have a smaller group of cattle then make sure to use a salt block or rock in the top of the tub to limit the surface area. If you find yourself having the opposite problem of more cattle than the tub allots, do not add a second tub until you hit 40 head. The second factor that must be taken into consideration is the season in which you are using the tubs. Tubs are cooked for both the summer and winter seasons and for good reason. The summer tubs are cooked at a much higher temperature than winter tubs to crystalize the molasses in an effort to withstand the heat. Therefore, a summer tub used in winter temperatures restricts consumption and vice versa causing the cattle to over or under consume. Paying attention to the dates on the tubs will allow you to properly rotate your inventory and avoid unhealthy consumption. Similarly, the placement or location of tubs is dependent on the season. For best results, the tubs should be located in the shade during the summer and in the sun for the winter months. Given that the cooked molasses tubs eliminate the need to use bitters for controlling consumption there is no concern about placing them near water. Many also use the placement of tubs for drawing cattle into an area that needs to be grazed. To summarize, there are three key factors for ideal consumption when using cooked molasses tubs: 1- number of head per tub 2- seasonal tub rotation and 3- tub placement. Using and applying these tips will produce the most successful and cost effective results! 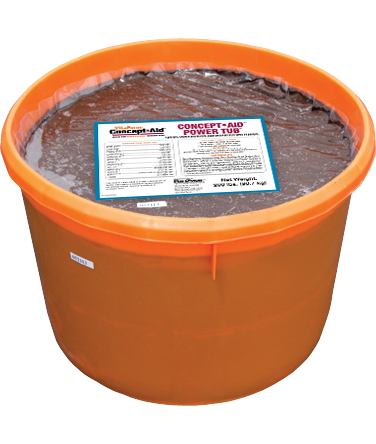 Concept-Aid Power Tub – a 20% protein tub that contains Concept-Aid levels of mineral. Vita Charge Stress Tub – a convenient way for cattle to get their daily dose of Vita Charge in a pen of run setting. 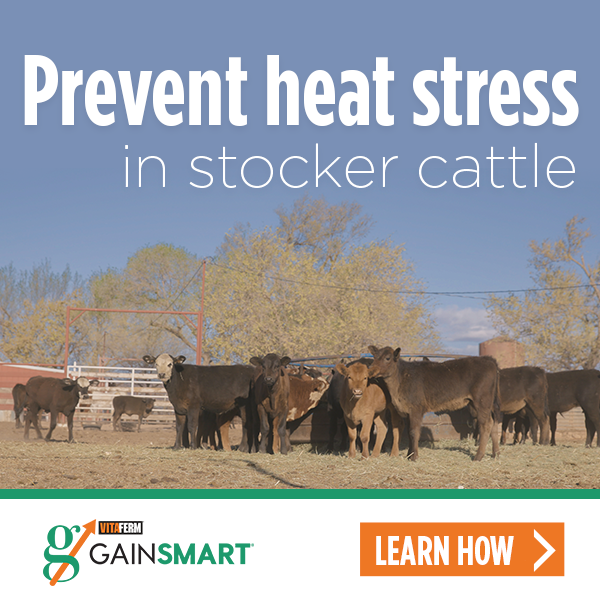 Ideal for sale or show cattle, and sick pens in feedlots. VitaFerm Mineral Lyk – a vitamin and mineral supplement for cows or stocker cattle on pasture. For assistance with your nutrition program, contact Kevin Glaubius, Director of Nutrition and Tehcnical Sales at 816-344-5762 or kglaubius@biozymeinc.com.